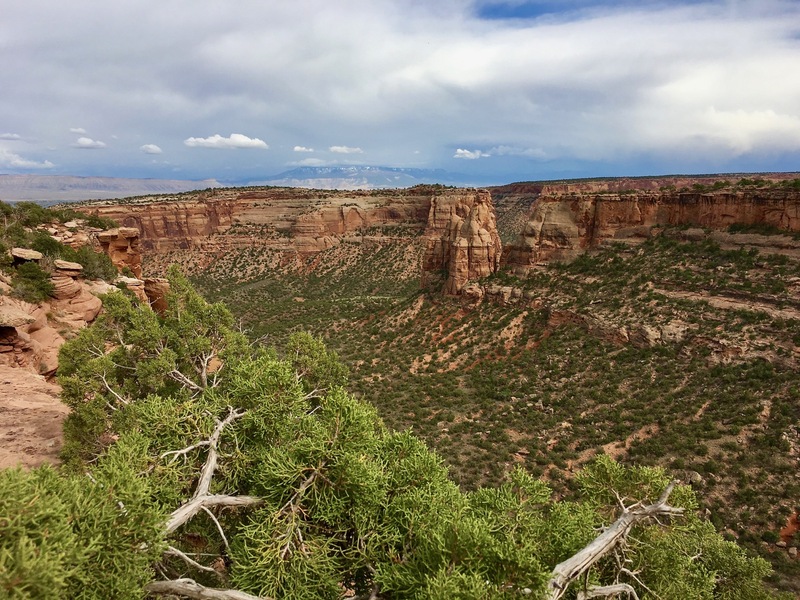 Out in western Colorado, the steep, northern wall of the Uncompahgre Plateau falls away into the Grand Valley of the Colorado River. Erosion has shredded this leading edge of orange sandstone, designing a labyrinth of extraordinary canyons. Wind, water, ice and an infinite amount of time have combined forces to create a natural sculpture garden in the high desert. 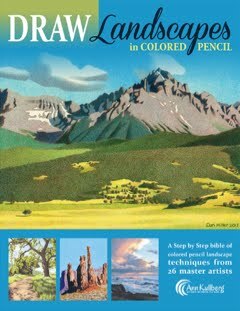 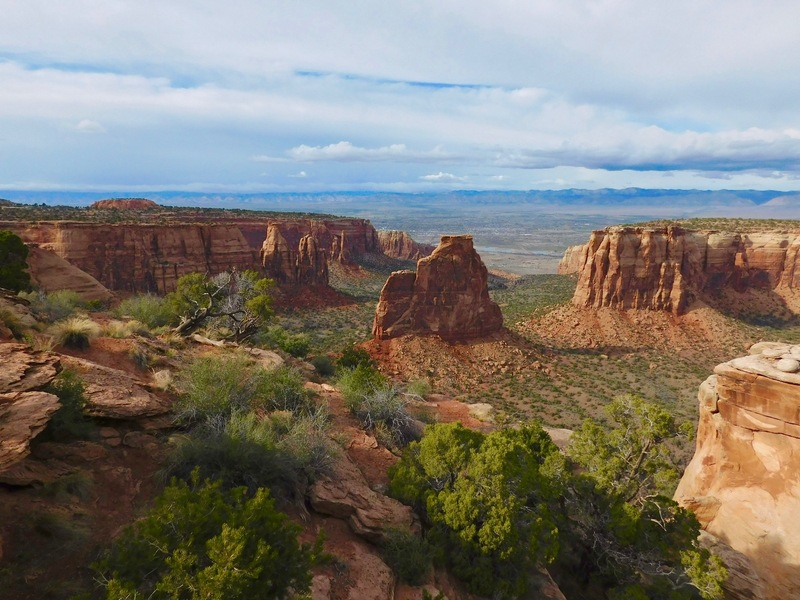 From the lofty Grand View Overlook, the floor below is decorated with rock chimneys, arches, spires, towers and coke ovens. 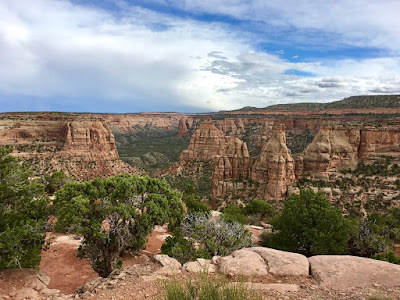 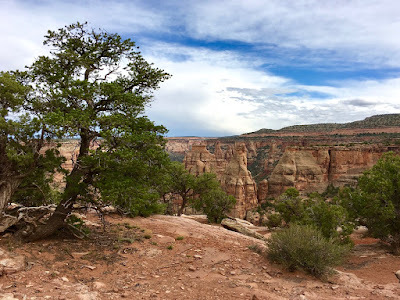 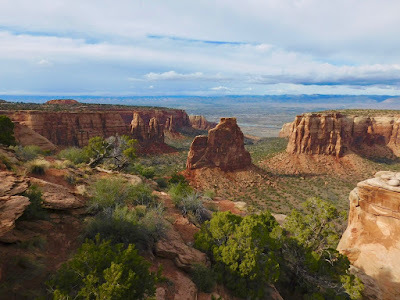 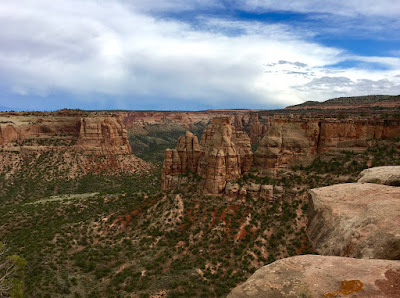 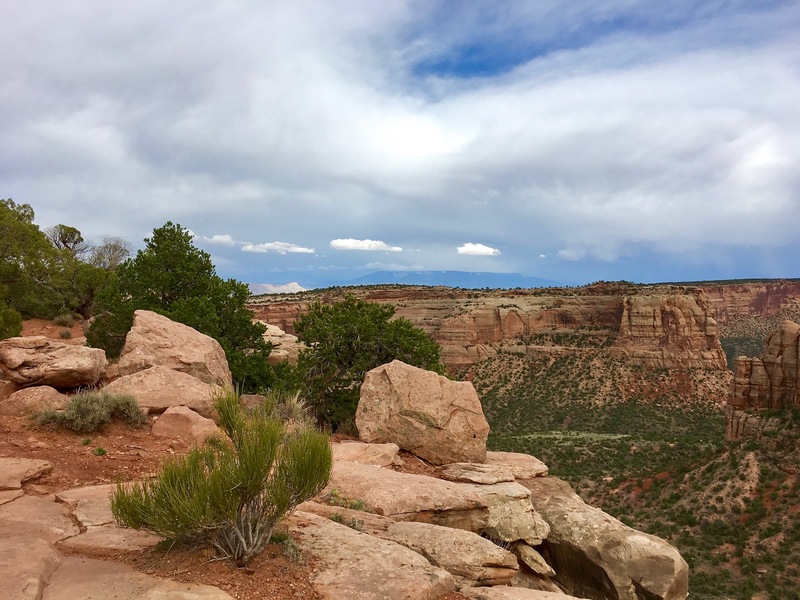 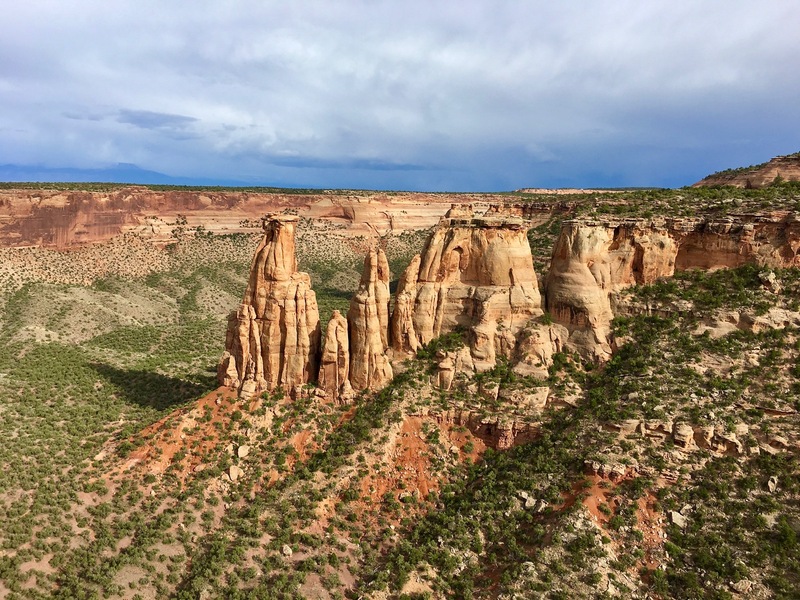 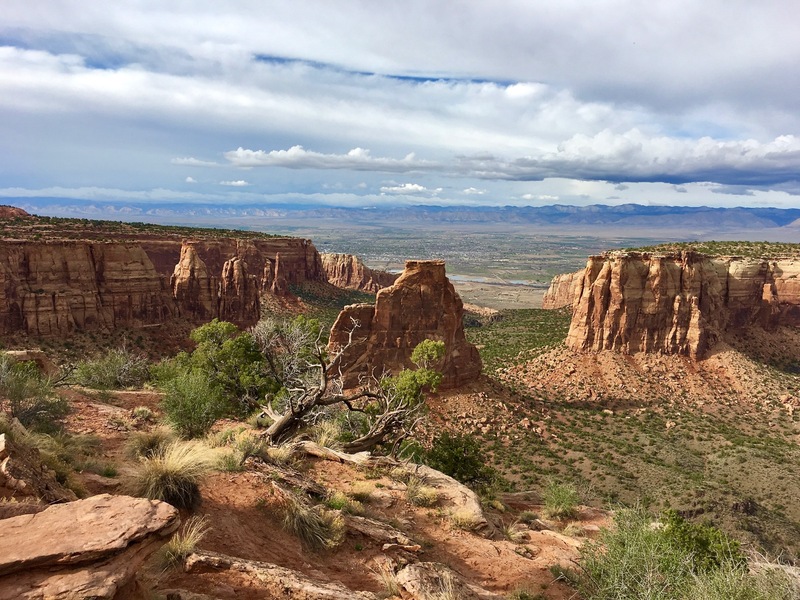 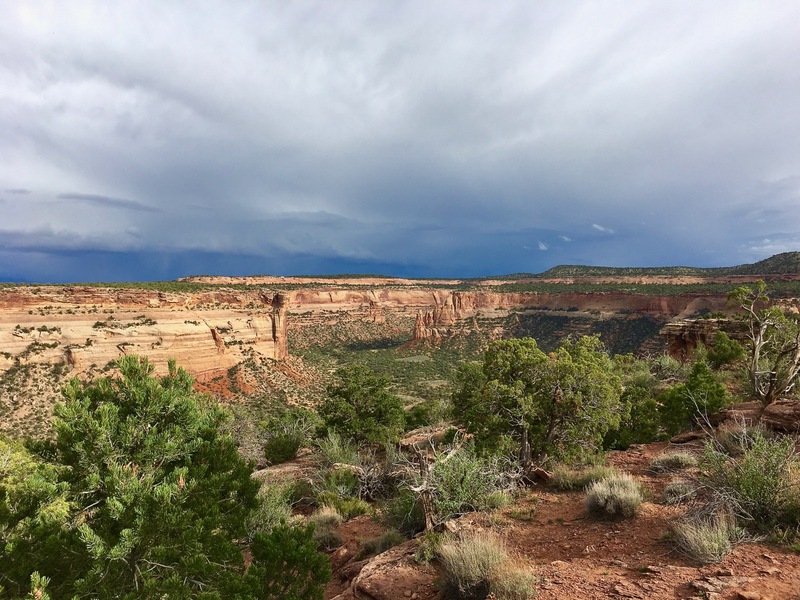 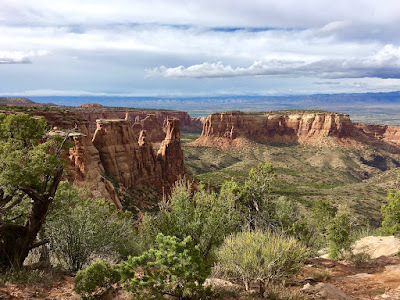 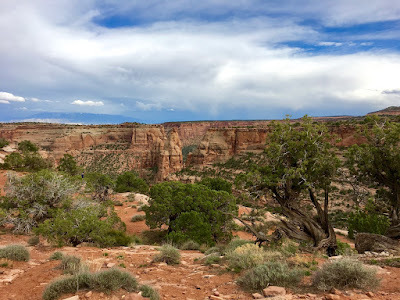 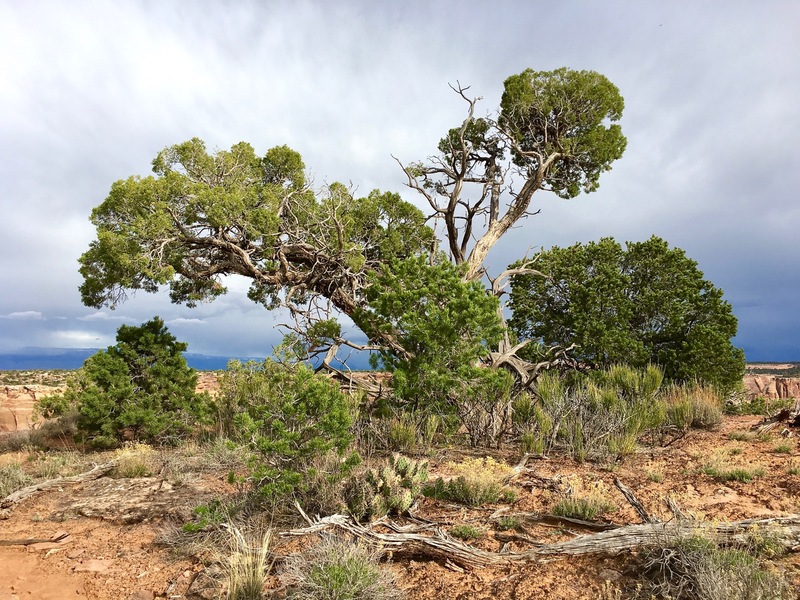 Granted special status in 1911, Colorado National Monument preserves a unique piece of the American West and protects a surprising variety of wildlife. 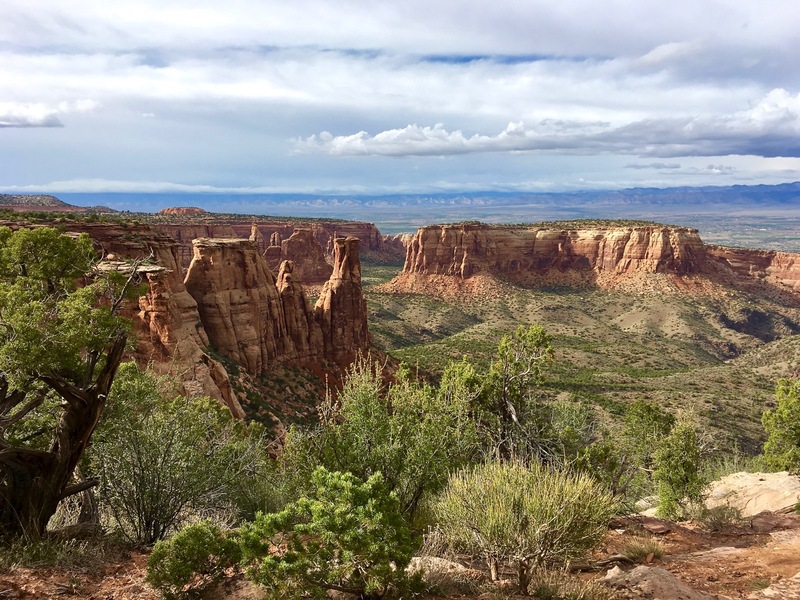 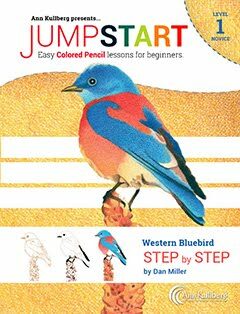 Desert bighorns, bobcats, coyotes, mountain lions, lizards, rattlesnakes and rock wrens are a few of the species who call this place home. 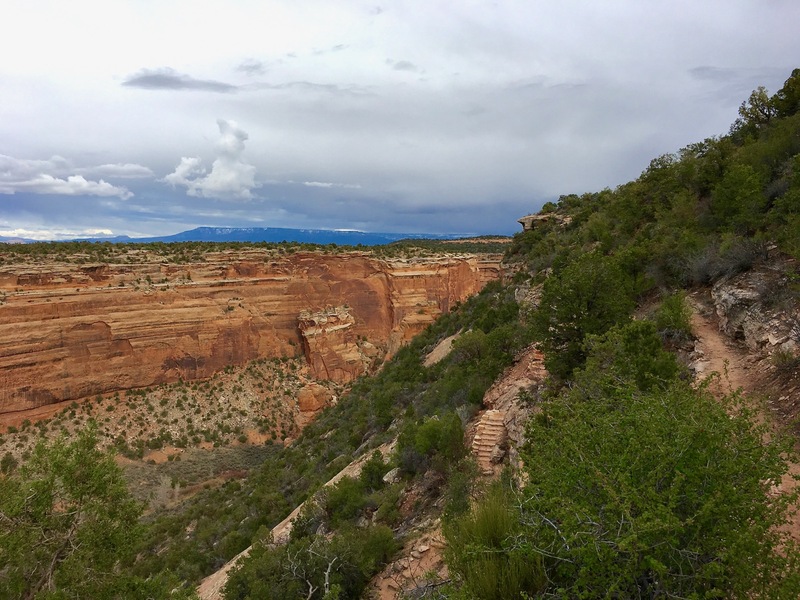 During an evening hike on the heels of a passing Spring storm, beams of soft light come streaming through the steel-gray clouds. While following a broken trail that skirts the chasm’s rim, Monument Canyon is the main attraction but the distant Book Cliffs and Grand Mesa are impressive as well. 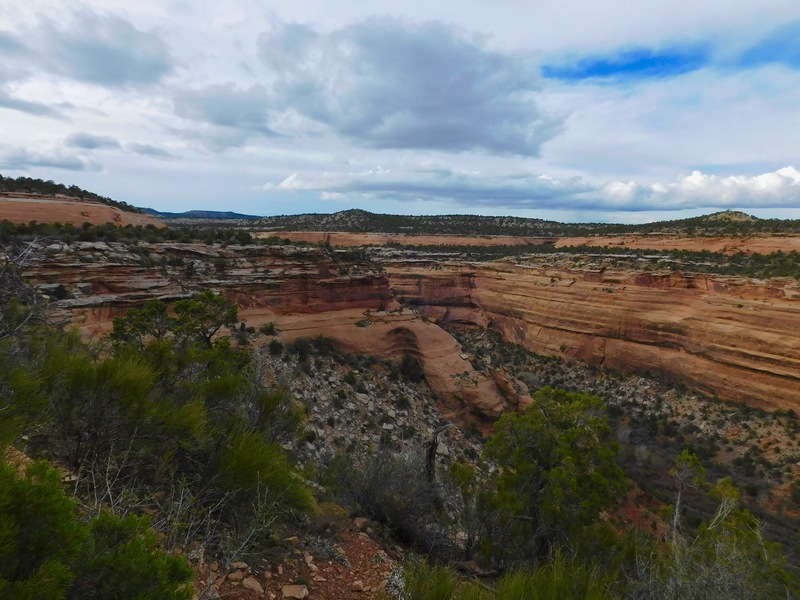 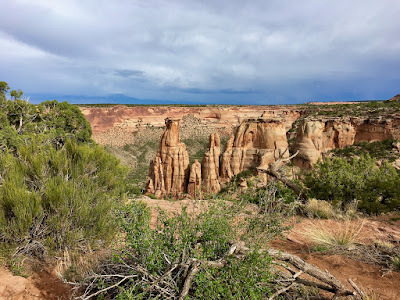 Ute Canyon is a secluded tributary that offers plenty of peace and quiet. At this section of the park, the deep gorge narrows and sheer cliffs rise from a rugged thoroughfare of scrub greenery such as cacti, yucca, pinyon pine, Utah juniper and sagebrush. 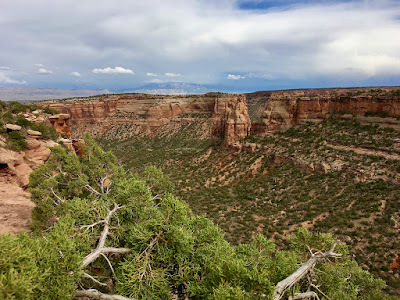 The exquisite scenery found out here near Grand Junction is the perfect prelude to the surreal landscape that sits across the border in eastern Utah. Some may think this region is a desolate hell-on-earth but it has an austere beauty that can only be found in such a stark wilderness.